Our aim is to develop your Business and IT support skills and to help you reach your full potential. As your programme progresses you will have increased involvement in ICT operational support in a number of specialist functional areas. Throughout you will ensure compliance with our Health and Safety and Sustainability agenda and aspire to become a ICT Service professional. Our apprenticeship programme recognises the importance of giving meaningful and challenging work, so you can expect to be immersed in real activities and given responsibilities from the outset. As your programme progresses you will have increased responsibility; working with experts who will share their knowledge, provide support and give invaluable feedback so you never stop learning. You will follow a training programme as part of our Industry recognised Apprenticeship programme, geared towards you achieving Information Technology & Telecommunications Professional (SQA) SCQF Level 6 or 8. The typical duration for this apprenticeship is 14 months. Regularly demonstrate work in progress to end users, both face to face and via on-line tools to obtain feedback. The Apprentice will be involved in demonstration and feedback sessions to learn the skills and techniques to effectively communicate and engage with the clients within the business. 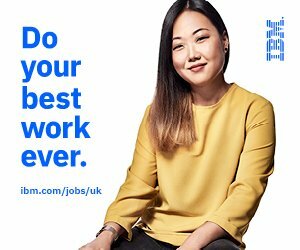 You will also get a chance to work on exciting projects such as Digital Briefcase development, assisting with the enterprise rollout of Office 365 and development of the Balfour Beatty Chatbot.